The Sci-Tech & Finance Building in Jinan, East China’s Shandong province is an incubator for start-ups and sci-tech enterprises, according to the local government. Operated by Shandong Science and Technology Department, Jinan Science and Technology Bureau and Lixia district government, it supports enterprises’ sci-tech innovation and finances small and medium-sized sci-tech enterprises to promote provincial industrial transformation. It was put into operation in September 2017. At present, its construction area is approximately 20,000 square meters. In order to gather talents, technology and information resources, the Sci-Tech & Finance Building set up several incubation platforms to provide offices, technology, finance for academicians, experts, overseas high-level talents and university students to start businesses. 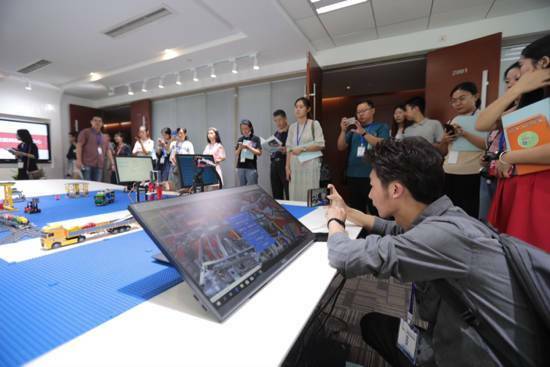 For example, the Microsoft Jinan Financial & Sci-Tech Business Incubation Platform based on the technologies of Microsoft has already provided finance and sci-tech services for more than 20 enterprises and offered technological support for over 40 provincial start-up university students. The platform that opened in Jinan Sci-Tech & Finance Building in July, 2017 is co-founded by Lixia district and Microsoft (China). It aims to provide finance and sci-tech R & D, trainings, funds and policies for entrepreneurs. Jinan Sci-Tech & Finance Investment Management Co and Oracle, the world’s largest software company co-built the Shandong Innovative Center in Sci-Tech & Finance Building to develop five emerging industries including information technology, high-end equipment, new energy and new materials, modern ocean and health care. Jinan government signed contracts with Microsoft and Oracle in 2017 in order to promote the development of new emerging energy.